Im writing this with may tab.Guys,Buy this awsome tab and you wont regret it,its a different feel ! Just got this baby two days ago.. 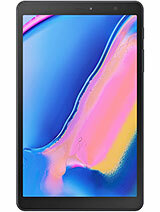 I've been surfing around about Samsung Tab and after lots of hours spent I still don't have clear two things that keep me away from buying it: One, No USB connectivity, meaning no way to use flash drives, and second, it seems that the built in bluetooth 3.0 does not work as a headset for calls. Can anyone clarify these issues and let me know ways to overcome them or solutions?... Thanks. the ONLY ONLY thing that's stopping me from buying this Tab is the software update issue: will it get the Gingerbread? how about the >future< "tablet friendly" Honeycomb?? i don't want to get it & then regret it in a few months.. who's with me? 3. You download all kinds of software applications. 6. There is a samsung voice software that lets you call contacts, write emails and SMS without touching the keyboard. 7. The ipad was really a waste of my time, energy and money. 9. Text selection and options makes using it soo easy and clearly shows the ipad was just a punishment. 10. This is really a gift from Samsung. Now I know why this cost more than apple ipad, and I would still buy it if it was double the price. Anonymous, 11 Dec 2010well for its size samsung could easily put a 10000mah battery in it10,000mAh what are you going on about? jansel, 11 Dec 2010how do we replace the battery?plss give us the exact detail of battery life usageThe battery is non-user replaceable; only authorized service center can replace the battery. Don't worry about the battery life because you'll trade-in the unit with newer model anyway before the end of the battery life cycle :-). Please include HDMI with Dolby Digital Plus sound in your next version. I'm of two minds about the "negative" for the video camera ability. I mean, it's there so it should be tested, but... the competition doesn't have it so how much weight do you give it? In my mind, not enough to put it as one of the top three drawbacks. The hardware seems to be worth the cost. The software will catch up as it did with the iPad. sara ramzan, 09 Dec 2010is this set have reject list call option ???? plz guide me coz i am buying this setYou can also install Easy Filter from Android Market. It rejects call and SMS. sara ramzan, 09 Dec 2010is this set have reject list call option ???? plz guide me coz i am buying this setyes there is a auto reject list. Go to settings; call settings; auto reject; enable auto reject and create your reject list. im a galaxy tab owner for almost 2 wks now. I use mine more than the number of minutes you do. Got to charge it almost 2x a day. So, got a little disappointed with the battery. Dnt think it's defective. Just been using it more frequent than most people. Installed "spare parts" and says battery is good. Y don't you try it. 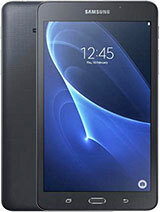 i have galaxy tab. I always use blutooth headset to talk people. i mean my Tabs blutooth 24hrs on. will it reduce my phone life? blutooth system in tab? dear all your valuable suggestion required.